While the first week of Director’s Close Up featured the beautiful web of relationships between actor and director, the second week takes a look at much earlier process in a film’s production: the writer and director. 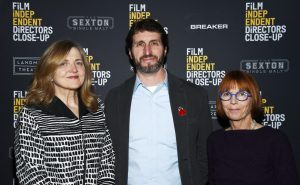 The event included Jane Anderson (writer, The Wife, Olive Kitteridge) and Billy Ray (writer, Captain Philips, co-writer, The Hunger Games) as well as moderation by Robin Swicord (writer/director, Wakefield, writer, The Curious Case of Benjamin Button). All three have both directing and writing experience and shared with the audience on how to best form a strong partnership between two of the most conflicted roles in the film industry. Most known is the tension that exists between the writer and the director. Billy compared it to a track race. He related the writer to be the first on the track. You write your script and you finish the lap around the track and then hand it off to the next runner. The next runner starts running their lap and the success of the game falls in their hands instead of yours. A film shares many similarities – the writer runs first, the director runs second. This act of trusting another with a developed piece of art such as a script can lead to great conflict and tension or a great success. Billy and Jane also shared strategies they use such as encouraging the director they’re working with to help them with parts of the script in order to build a solid foundation of trust. They also explained that, at the end of it though, the writer must give the reins of control over to the director and let them fly with the film themselves. Both Billy and Jane shared their experiences with this. On Captain Philips, director Paul Greengrass and Billy had many different arguments and fights. Billy explained that he originally wished for the Captain’s wife to be part of the story. Paul disagreed and also wished for the Pentagon to have a side story, as they attempt to organize a rescue, much to Billy’s protest. 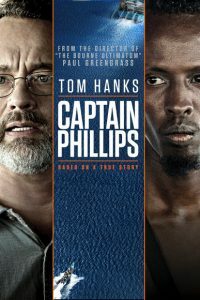 Billy explained that it was Tom Hanks (Captain Philips) who told them both that the story should never leave the ship that Philips was on. This led to the Captain Philips we know today. Jane had her own experiences with writing and directing. Her script for The Wife took fourteen years for her to make and involved many rewrites and defeats. The film failed again and again in being produced, due to the simple fact that it has a female protagonist and the male characters of the story are secondary to her. Finally in 2018, we are able to see this incredible story. She said there were many troubles along the way, with many directors wanting her to change it to be more masculine with a male lead, but she was able to persevere. Robin shared her own stories and tips. She recommended to the audience to go outside their comfort zones and attempt to write something they would be fearful to direct. The art of writing holds many challenges and all three shared tips in the craft. Billy related writing to marble. His analogy was that writing is like a block of granite. You start with the entire world in your screenplay, that is the granite, and chip away everything that is not the story. You are left with a beautiful statue that is your film. They also explained the challenges of an ending. Jane, Billy and Robin all discussed how, at times, the ending must be so perfect that it is sometimes necessary to go back and change earlier parts of the film to make the ending flow just right. 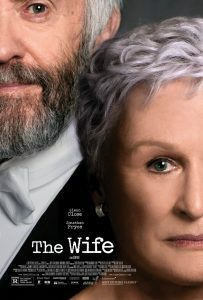 Jane explained how the climax scene for The Wife took many rewrites and redesigns to get right, while Billy explained how the climax scenes in Captain Philips were one of the rare cases where both him and the director had no arguments, fights or disagreements. Jane also shared an important note to those who write and direct their own films. She said that many director/writers will write their scripts as directors, where they get immersed into the shot design, set design, actors and the many details a director has to deal with. She recommended that you write a script as a writer only, and you direct a script as a director only. 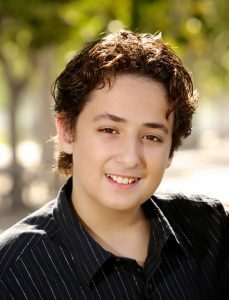 Then, the story is completed preserved in the writing process and is held to the highest importance. This entry was posted on Monday, February 11th, 2019 at 4:30 pm and is filed under Jury Updates. You can follow any responses to this entry through the RSS 2.0 feed. Both comments and pings are currently closed.